I need to tell you about my parents. My dad was working as a salesman in a photography store back in 1983 while my mom was working with a group of men suffering from a conduct disorder. In 1991 they bought the photography store and continued to put all their energy in their work. I couldn't imagine what it'd be like to continuously be working together with your partner but they made it work, each having their own domain within the company. I remember working in the store when I was little, learning how to approach customers and working the PoS. Some customers were unsure whether to let me help them but most customers were patient and even helped when they saw me struggle. My parents were never afraid of me doing something bad, they trusted that I knew when I could help a customer and when I should be asking for help. When the digital age hit the world of photography they took a hit just like all the other photography stores. Digital cameras became a thing of today, photos were printed and photoshopped at home and there was a huge decrease in customers that would come into the store. My parents have struggled multiple times due to this but they've never accepted defeat. Continuing to be professionals and finding different ways of offering value to their customers. They started giving workshops and embraced the digital platform. 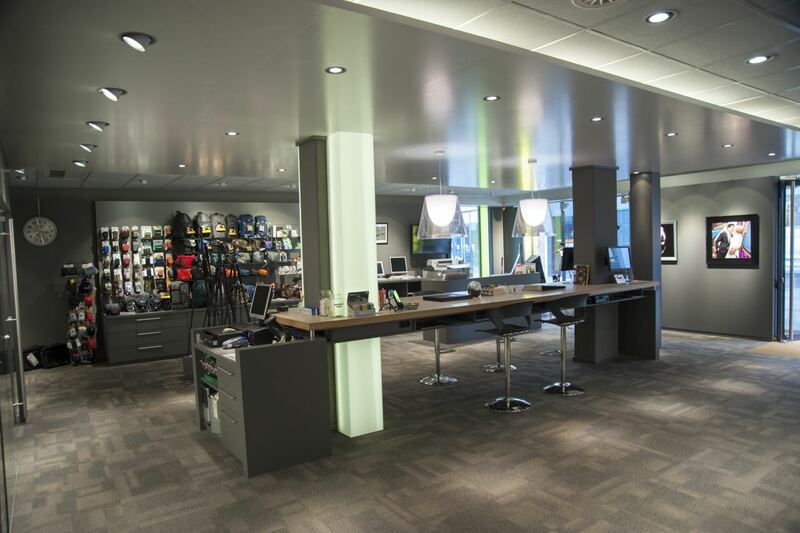 Just to give you an idea, in 2013 there were 682 photography stores in The Netherlands, in 2017 there were only 393 stores left. The fact that my parents still have their store and continue to serve their customers is a testament to their dedication and efforts. They got the opportunity to rebuild their store when the entire shopping centre was getting revamped. They gave the traditional setup a big middle finger and got rid of any counters that would divide customer from personnel. It's interesting to see some customers walk in, slightly confused and unsure of who's customer and who's personnel. My parents have always explained it as it being an open-space where you stand next to the customer instead of distancing yourself from them. When I visit the store, I sit at the table and 9 out of 10 times there's people chatting and enjoying a nice cup of coffee at the table. Friendships were made, stories were told and tears were shed at that table. It's such a powerful thing to have as a store, to have a bond with your customers that's bigger than a transaction. This is culture, this is what happens when you remove barriers and approach everyone with humility, humor and a healthy amount of Dutch directness. I know plenty of people who have had their life turned around thanks to my parents picking them back up. Besides the store they also own a studio in which photo shoots take place. The studio has more printers that are capable of printing larger prints and the studio itself is used for photoshoots. Everything starts with a conversation and the studio is the perfect extension of the store. The studio is my mom's domain, she's always working hard to make sure the large orders are taken care of and artists have their art framed and delivered in time for a showcase. My mom suffers from fibromyalgia, a condition that causes pain all over the body. This has been a huge burdon and something that makes her daily work very hard. Yet she doesn't let that stop her, with little complaint she will pull through and still give it her all. Better yet, she has had multiple businesses aside from the store and the studio in which she is always trying to help others. Growing up with my family wasn't always easy. We each have our own quirks and sometimes didn't give each other any space. It was always up to my mom to mediate situations like these. The way she was able to overpower any situation with positivity is amazing. She was the glue that kept us all together and I can't imagine the energy that costed her beside everything else she had to deal with. My parents are entrepreneurs, they see and seize opportunity. They've always known that my brother and I were never going to continue their legacy in its current shape and form. But I think their legacy is much bigger than the store and the studio. It's the people they've helped along the way and it's the values they passed onto my brother and I. My dad taught me that humor makes people feel at ease, he taught me that a healthy dose of stubbornness can help you achieve your goals and that structure can make you a lot more efficient. My mom taught me that positivity is contagious, that showing empathy is sometimes all that someone needs and that being selfless can be very rewarding. I hope that when people meet me, they will use the characteristics listed above to describe me.